A 10-year-old Winnipeg boy is collecting and repurposing used prosthetic limbs for people just like him. Iahnijah Opaleke who uses an artificial leg says he was inspired to recycle the devices during a trip to Jamaica when he was five years old, before one of his surgeries. "I saw a man, he had no legs and he was riding a skateboard to get around everywhere," Iahnijah said. "So I just said, 'Why doesn't he have a prosthetic like me?' I just had the idea." His mom, Tina, says Iahnijah offered the stranger his own artificial leg right there in the market. "He probably doesn't remember because he was a little guy. But he was going to full-on take his prosthetic off and give it to him. And the guy was like, 'You would do that for me?' It was a very emotional moment," she said. "I realized … if an amputee would be willing to repurpose his own prosthetic to somebody else and donate it, I just thought, why don't we ask the other amputees too?" 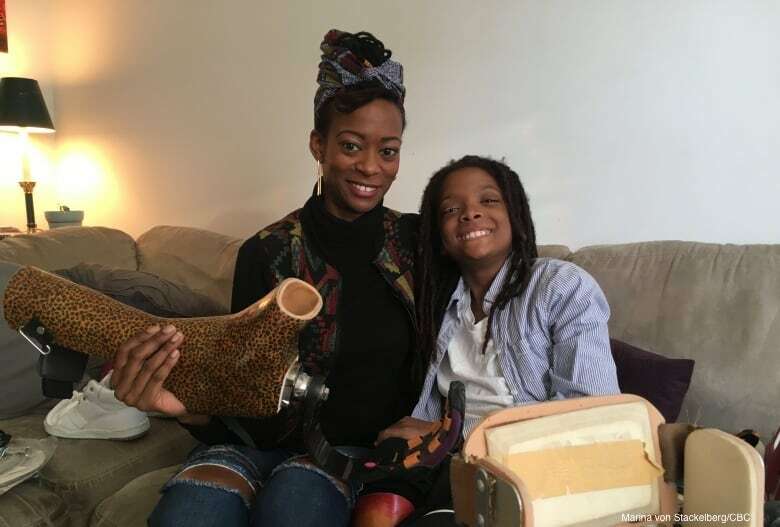 After returning from their trip, Iahnijah and his mom started a group to collect and distribute artificial limbs to others around the world. "We're sending prosthetics to people who need them, who can't get prosthetics where they are or it costs too much money," Iahnijah said. They call the group PFFD: Prosthetics for Foreign Donation. That's also the acronym for what Iahnijah has: proximal femoral focal deficiency. Tina says an amputee will go through many prosthetics in their lifetime, but often don't know what to do with the old ones when they need to be replaced or they grow out of them. "Some people are really attached to their [prosthetic] limbs," she said. "It's a part of them." That was apparent when they received a donation from a woman in Toronto, whose father had died. "Her father was a veteran. She donated his old [prosthetic] legs. She specifically wanted her father to live on. It was such a beautiful moment. She was giving her father's love to Iahnijah." Along with the emotional attachment, each device costs thousands of dollars, so Tina says many people also can't bear to throw them out. "So you just keep it."